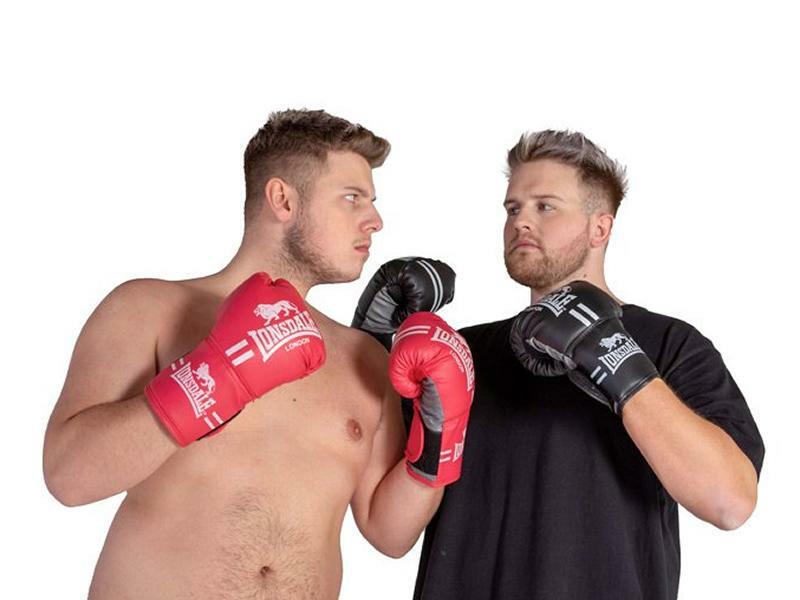 Social media phenomenon and God of Pranks, Ben Phillips is back on the road with a new live tour which will see him go head to head with his equally famous brother Elliot in the ultimate prank war! Social media phenomenon and God of Pranks, Ben Phillips has taken the internet by storm and 2019 will see Ben hit the road once again as he embarks on a live 9 date tour across the UK - Ben VS Elliot. The live show will see the famous prankster go head to head with his equally famous brother Elliot in the ultimate prank war - live in front of audiences to see – but who will win?! Ben, a 26 year old from Bridgend in South Wales, has racked up an astonishing 5 billion views on Facebook, 1 billion views on YouTube and more than 22 million followers across social media - making Ben one of the biggest influencers on the planet. Ben’s impact in Asia has seen him become the fastest growing westerner on Asian online platforms and as a result he took the 2018 Ben Phillips Tour to Taiwan, Hong Kong and Shanghai. Not content with taking over the online world, Ben has also had huge success away from it. He’s a best selling author, created chart topping apps, had a TV show on Comedy Central, designed various sold-out clothing ranges and turned his most famous pranks into animation. Since 2016 Ben has successfully sold out both UK and World tours, with 2019 set to be the biggest year yet! While we take every opportunity to ensure the details for Ben Phillips Live Tour 2019 - Ben vs Elliot are accurate, we always advise that you contact the event organiser before setting out for the event to avoid disapointment. The world famous Harlem Globetrotters bring their one-of-a-kind spectacular show to Glasgow's SSE Hydro on April 25th! The UK’s biggest baby and toddler show is returning to the SEC Glasgow between the 26th and 28th April 2019! One of the largest indoor Scottish music productions in the world, Music Show Scotland, comes to The SSE Hydro, Glasgow on 27th April! The Scottish Hair & Beauty Show returns to the SEC Glasgow on Sunday 28th and Monday 29th April 2019! Daryl Hall & John Oates, the biggest selling music duo in history, have announced a show at The SSE hydro Glasgow as part of their first headline tour in five years! Olly Murs, one of pop music's biggest and most loved stars will return to The SSE Hydro Glasgow on May 3rd with support from Rak-Su! Academy Award-nominated, Golden Globe and Tony Award-winning performer, Hugh Jackman, has announced that two dates at The SSE Hydro Glasgow have been added to his first world tour! Come together and experience the iconic music of The Beatles with Let It Be, the spectacular new concert jam-packed with over 40 of The Beatles' greatest hits! Take a trip down memory lane with performers who dominated the music industry across the 80's and 90's when the Biggest Disco comes to The SSE Hydro on May 10th! The Vamps have announced their Four Corners Tour which includes a date at The SSE Hydro Glasgow on 11th May 2019! Wu-Tang Clan will be joined by Public Enemy and De La Soul for the 'once in a lifetime' Gods of Rap tour at The SSE Hydro Glasgow on May 12th! RuPaul brings the Werq The World Tour, hosted by Michelle Visage, to the SEC Armadillo on May 17th 2019! Grammy-award winning global megastar Michael Bublé will return to the UK next year with a brand new tour, catch him at The SSE Hydro Glasgow on 23rd and 24th May! The Eat & Drink Festival returns to the SEC Glasgow between 24th and 27th May featuring the country's top artisan producers, leading street food vendors & world-class chefs! Mark Knopfler, one of the most critically and commercially successful artists of all time, has announced a world tour which includes a date at The SSE Hydro Glasgow on May 26th! Rita Ora has announced details of her 2019 global tour, Phoenix, which includes a night at The SSE Hydro, Glasgow on May 29th! Bill Bailey returns to Glasgow with his Larks in Transit tour in 2019... catch him at the The SSE Hydro on Thursday 30th May! Dancehall legend, Grammy Award winner and much loved international hit maker Sean Paul has announced a set of UK dates for May and June including a night at The SSE Hydro Glasgow on June 2nd! Westlife are back with The Twenty Tour! Celebrating 20 years of hits including 14 number 1's don't miss it when it comes to The SSE Hydro Glasgow on 3rd, 4th & 5th June 2019! Get ready for the event of the decade as the Spice Girls take to the road with their massive reunion tour Spice World which will come to BT Murrayfield Stadium, Edinburgh on June 8th! The musical phenomenon that is The Piano Guys are heading out on tour, catch them at the SEC Armadillo, Glasgow on June 11th! Backstreet Boys have announced their biggest arena tour in 18 years! Coming to The SSE Hydro on 14th June 2019! Be part of an inspirational day, attended and watched by curious individuals from across the globe when TEDxGlasgow returns to the SEC Armadillo on Friday 14th June 2019! International Pop Icon P!NK has announced five stadium shows for the UK as part of her P!NK Beautiful Trauma World Tour 2019 including two nights at Hampden Park Glasgow! Don't miss Il Divo at the SEC Armadillo on June 24th as part of their Timeless Tour which will see them perform their greatest hits! Lynyrd Skynyrd's career-concluding two-year farewell tour will stop at The SSE Hydro Glasgow on 26th June 2019 with support from special guests Status Quo! Multi-platinum superstar and seven-time GRAMMY® Award winner Carrie Underwood has announced a major UK arena tour which includes a night at The SSE Hydro on July 2nd! Special guest are The Shires! The Eagles are bringing their critically acclaimed tour to Europe in 2019 including a night at The SSE Hydro Glasgow on July 4th! DanTDM is back on tour and he's created a totally immersive gaming experience. Bring all the family along on this unique adventure, made just for you, his fans! Rock n Roll legends KISS will bring their 'The End of the Road World Tour' to The SSE Hydro, Glasgow on 16th July 2019! Whether you're a Minecraft fan, a YouTube enthusiast or a casual gamer, join thousands of others for Resonate – The Ultimate Gaming Experience! With six themed arenas and six further incredible attractions the Nerf War Carnival at the SEC Glasgow will be an unmissable family event! RuPaul’s Drag Race champion Bianca Del Rio has announced that she will be returning to the UK with arena tour, It’s Jester Joke, don't miss it when it comes to the SEC Armadillo on September 6th! The Dog Lover Show - Visit Scotland's largest dog show when it returns to the SEC Glasgow in September for another fun-packed day out for all the family! The Proclaimers have announced four Summer shows across Scotland in 2019 including a night at The SSE Hydro on Saturday 14th September! Ariana Grande brings her Sweetener World Tour to The SSE Hydro Glasgow on September 17th 2019! International multi platinum-selling artist Khalid has announced four UK dates as part of his headline 'Khalid Free Spirit World Tour' including a night at The SSE Hydro, Glasgow on September 20th! Following the record-breaking success of his 2017 tour Round The World, Russell Howard returns with his biggest globe-spanning stand-up tour to date, don't miss him at The SSE Hydro on September 21st! TAPE FACE returns to the UK with a BRAND NEW SHOW! New Jokes, New Props, Same Tape... catch him at the Scottish Event Campus on September 27th! The country’s most famous pensioners, Jack and Victor, are returning to The SSE Hydro for a spectacular send off in Still Game Live: The Final Farewell! Don't miss Star Wars: The Empire Strikes Back in Concert featuring a screening of the classic film accompanied by a live orchestra at the SEC Armadillo on Sunday 29th September! Comedy Central's Impractical Jokers are bringing their brand new show, The Cranjis McBasketball World Comedy Tour, starring The Tenderloins, to The SSE Hydro, Glasgow on October 15th 2019! Step back in time for an evening of Roy Orbison and Buddy Holly's greatest hits when The Rock 'N' Roll Dream Tour comes to the SEC Armadillo on October 16th! The world's biggest girl group, Little Mix return to the SSE Hydro Glasgow with 'The LM5 Tour' tour in October 2019! The Next Step will return with a brand new live show for 2019: Absolute Dance Live On Stage - kicking off at the SEC Armadillo in October! Jonathan Van Ness is bringing his stand-up tour debut, Road To Beijing, to the SEC Armadillo, Glasgow on October 19th! Don't miss one of the world's great voices, Andrea Bocelli, when he returns to The SSE Hydro Glasgow on October 20th 2019! Super Heroes come to life as the live action family spectacular Marvel Universe Live! returns to the SSE Hydro Glasgow in October 2019! Will Young has confirmed a huge 21 date UK tour, kicking off this October. Will's tour will include a night at the SEC Armadillo, Glasgow on Friday 25th! Romesh Ranganathan is back with a brand new show The Cynic’s Mixtape, his most brutally honest show yet and brings it to the SEC Armadillo on October 26th & 27th 2019! Legendary superstar Cher has announced her first UK tour in 14 years which will include a night at The SSE Hydro Glasgow on October 28th! A-ha will return to the UK in 2019 with their 'Hunting High and Low Live' tour, catch them at the SEC Armadillo Glasgow on November 1st! Gary Faulds returns to his home town of Glasgow to end his 2019 tour at the iconic SEC Armadillo! The 80’s Invasion Tour featuring Sister Sledge, Jason Donovan, The Fizz, Five Star, Martika, Hue & Cry and Living In A Box is back with a bang! Catch it at The SSE Hydro on November 6th! Multi-Platinum singer-songwriter Christina Aguilera has announced her first UK tour in thirteen years! The vocal powerhouse will bring The X Tour to The SSE Hydro Glasgow on November 7th! The critically acclaimed Australian Pink Floyd Show returns to The SSE Hydro Glasgow on Saturday 16th November! One of the most popular stand-up comics in the UK, Jack Whitehall is heading out on his largest ever tour this winter which includes two nights at The SSE Hydro, Glasgow! Get in the festive spirit when the Country Living Magazine Christmas Fair returns to the SEC Glasgow between the 21st and 24th November 2019! Tim Minchin, award-winning comedian, actor and composer, will return to the stage for his first UK tour dates since 2011 and you can catch him at the SEC Glasgow on November 22nd 2019! The Lumineers return with 3-Chapter album: III and a world tour which will see them play The SSE Hydro, Glasgow on November 22nd! The Chemical Brothers have announced their biggest UK arena tour to date which includes a night at The SSE Hydro Glasgow on November 23rd 2019! Halestorm will play The SSE Hydro Glasgow on 24th November 2019, their biggest headline Scottish show to date! Rod Stewart is extending his 2019 UK summer tour into a winter arena tour including a date at The SSE Hydro on 26th, 28th and 30th November 2019! Experience Elvis, the man who changed the course of popular music, in concert, live on screen at Glasgow's SSE Hydro accompanied by the Royal Philharmonic! Experience some of the cheesiest cheeses in the world with Melted Raclette, Cheese Wheels, Gooey Mozzarella Sticks and a whole host of cheesetastic tastes at Cheese Fest Glasgow 2019! Legendary Hollywood composer Danny Elfman brings Tim Burton's iconic The Nightmare Before Christmas Live In Concert to the UK for the very first time! See it at The SSE Hydro on December 2nd 2019! Music fans are invited to the biggest party of the year as the unstoppable Magic of Motown show steams into town! Musical virtuoso Jools Holland and his well-renowned Rhythm & Blues Orchestra will return to the SEC Armadillo in December with some very special guests! Pete Tong presents Ibiza Classics performed by the 65 piece heritage orchestra conducted by Jules Buckley at Glasgow's SSE Hydro! Let's Rock Retro Winter Tour, celebrating the best music of the 80s, is coming to The SSE Hydro, Glasgow on December 11th! ELF, the hit West End and Broadway musical based on the Hollywood blockbuster movie starring Will Ferrell, is to be supersized into a festive spectacular and it's coming to Glasgow this Christmas! For the first time ever, the SEC Armadillo's annual pantomime will be the magical tale 'Snow White and the Seven Dwarfs'! Take a fairy tale flight to Neverland as the Jolly Roger navigates the perilous high seas and throws anchor in the Clyde for another unmissable festive season in Glasgow! Dust off the platform heels and grab the knee-high socks, because the nineties are officially rolling into Glasgow! Tony Roper's classic show, The Steamie, is coming to The SSE Hydro in December 2019 and it's bigger, better and STEAMIER than ever! Scotlands very own multi-award winning Johnny Lee Memphis will be performing in the Absolute Elvis Show this coming January at the Scottish Event Campus! Four acts, one unforgettable night! Catch 5ive, A1, Damage and 911 at the SEC Armadillo on February 21st, when they bring you a hit-show full of pop classics! Lewis Capaldi has announced his biggest ever headline shows to date including two nights at The SSE Hydro Glasgow on 5th & 6th March! Join Jimmy Carr for the ultimate comedy show when he brings his new tour, Terribly Funny, to Glasgow's SEC Armadillo in 2020! Relive the passion, the flare and the unique sensitivity of George Michael in this tribute show at the SEC Armadillo Glasgow on Saturday 18th April 2020! The award-winning Royal Liverpool Philharmonic Orchestra and the nation's premier Beatles group, The Bootleg Beatles, join forces to deliver a Beatles experience like no other at the SEC Armadillo! Elton John has announced the first 2020 UK dates of his colossal Farewell Yellow Brick Road tour - coming to The SSE Hydro Glasgow on 24th and 25th November 2020! Queer Theory returns to Nice N Sleazy on April 24th with another evening of live music, drag, poetry and comedy as they celebrate their third Birthday! Glee Club Glasgow's Friday Night Comedy is the perfect way to end the working week! Four superb stand-up comedians and a great range of tasty food offerings! Sundown Song Nights returns this month with an incredible and contrasting line up featuring Rab Noakes and Ceitlin Lilidh at the Glad Cafe! Alliance Francaise are delighted to invite you to a tasty evening to (re-)discover a selection of French & British cheeses on Wednesday 24th April! Leonard Cheshire in Scotland are hosting a Fashion Show at Scottish Youth Theatre exhibiting a wide range of fashion from various high profile designers and clothing lines! Locker Room Talk returns to continue a conversation about misogyny and masculinity which has become even more urgent since its premiere. Children’s Classic Concerts return to Glasgow Royal Concert Hall with Weird Science and they're on a hair-raising mission to prove they've got great chemistry with the audience!